An all black, single-engine aircraft soars through the sky above 70,000 feet. It’s at the edge of space, 13 miles above sea level, so without radar, it will likely go unnoticed by anyone on the ground below. 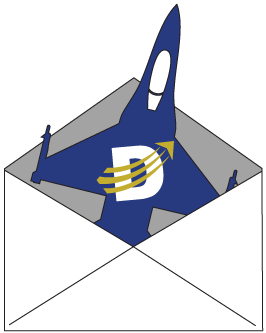 It is flying over an undisclosed region of the world gathering intelligence about a large number of troops mobilizing very near a NATO ally’s border. From this extremely high altitude, the U-2 can still photograph everything from horizon to horizon on the ground below. At an altitude of 65,000 feet, its camera can resolve features as small as 2.5 feet. This Cold War era aircraft’s normal operating altitude is so high that to protect its pilots from the cold air and solar radiation, they wear space suits like an astronaut and have a team that gets them suited up and strapped in. They don’t just hop into this craft and take off. Prior to a flight, pilots will spend time breathing pure oxygen to get any nitrogen out of their lungs to avoid decompression sickness. 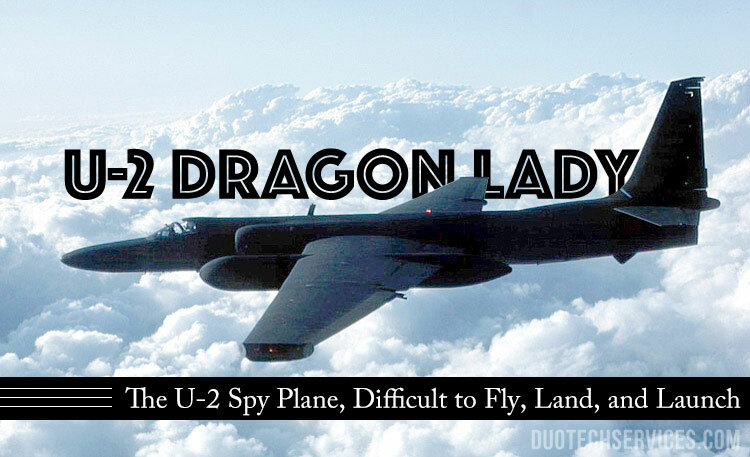 The U-2 Spy Plane, also known as The Dragon Lady, has a unique history to it. First, it is the reason there is a secret military base called Area 51. In 1955, the U-2 was authorized by President Eisenhower for development. The U.S. government needed a location not easily accessible by civilians or spies. They chose a very remote area in the desert near a salt flat called Groom Lake. The secrecy behind this initial project code-named “Aquatone” and the fact that the U-2 flew at 70,000 feet, much higher than passenger aircraft of its time, which cruised between 10-20,000 feet, led to the belief that Area 51 was hiding secrets like UFOs and Aliens. 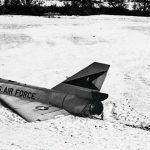 In May of 1960, the downing of a U-2 piloted by Gary Powers over Russia resulted in an international incident that set back talks between the U.S. and Russia. In order to rescue the pilot held by Russia, both sides would eventually agree to a prisoner exchange–Powers for a Russian spy the U.S was holding. In October of 1962, a U-2 pilot flew a top-secret reconnaissance mission over Cuba and located Soviet missile sites that would eventually house tactical nuclear weapons. This would be the beginning of the Cuban Missile Crisis that brought the world to the brink of nuclear war. The U-2 Dragon Lady may soar at altitudes above 70,000 feet, but when it’s near the ground it can be very difficult to manage. 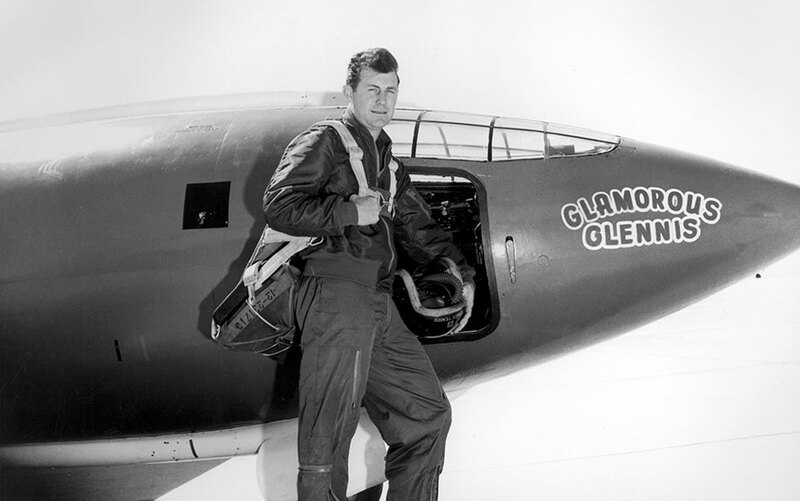 Because of the space suit, the U-2’s hull shape, and a dual-wheeled landing gear along the center of the aircraft, the pilot has great difficulty seeing the ground. During takeoff and landing, the U-2 is followed by a chase car. The driver of this chase car is also a U-2 pilot and will communicate with the pilot during these critical times. When at altitude the U-2 is a lot of work also. The thin air at 70,000 feet along with its lightweight frame has earned it a reputation of being very difficult to fly. The difference in speed between going too fast and stalling the U-2 is only 13 mph. So during a flight, there is little rest for the pilot who is constantly monitoring the instruments, managing the camera, while trying to simply hold onto the aircraft. In 1994 the U-2 was completely modernized with a glass cockpit, updated the legacy wiring, and fitted with a more fuel efficient engine. Duotech Services has also taken part in helping the U-2 continue on with its mission. Duotech designed and manufactured a unit that keeps both the cockpit windshield and camera windshield from frosting or fogging over during high altitudes. The U-2, introduced in 1957, has outlasted its spy plane counterpart, the much more expensive SR-71 Blackbird. 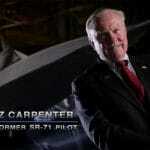 The SR-71 was introduced in 1964 but retired from service in 1999. What’s it like to fly in the U-2 Dragon Lady? Ride along with James May at the edge of space in the U-2. Also here are two other opportunities to see how difficult the U-2 is to launch and land. If you enjoy this video, please share our page with your friends and colleagues. 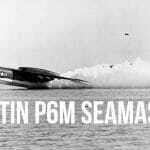 If you like jet-powered aircraft then check out all our many other #JetFriday posts. Below are take off, landing, and the James May Flight videos.